Architectural precast concrete was a catalyst to innovative construction techniques that influenced processes as well as architectural design. With the ability to be formed, poured and set off-site, construction of even the largest buildings and structures could be streamlined and expedited thanks to the marvel of precast concrete. This precast innovation was first introduced in the early 1900s and has made modern architecture what we know it as today. With such a longstanding history and proof of durability and stability, there are some truly prime samples of architectural precast greatness. Kafka Granite has been in tune with architectural precast for decades. Through this time, it has been able to innovate and aid in advancement of a greatly useful product. 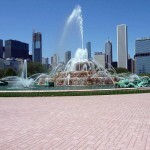 By providing nearly 60 colors of quality crushed sand and aggregate to create a decorative finish in exposed aggregate precast concrete structures, designers have been able to explore different aesthetics and precast concrete manufacturers have been able to depend on a reliable product thanks to Kafka Granite. Construction is a time-consuming and expensive venture. Especially large structures could take years of construction simply to complete the exterior. In today’s on-demand society, waiting years to complete a construction project—especially for much-needed structures such as high-rise housing or parking ramps—just isn’t an option anymore. Contractors need to work as efficiently as possible while still allowing designers to source materials that fit their vision. Before architectural precast concrete came to the market, construction often required skilled workers to be on-site in order to tediously build forms and pour the concrete. Not only was this a costly necessity, but it also meant other work couldn’t be completed simultaneously while the concrete was setting. Precast concrete enables architectural panels to be made in large numbers off-site while other construction tasks can be completed on-site. This means buildings can go up quicker and cheaper while maintaining architectural integrity and aesthetic. A boom of popularity in the 1930s saw an impressive number of iconic buildings being made with precast concrete. Here are six stunning examples of buildings made with the help of precast concrete panels. 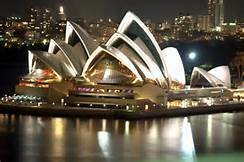 The complex design of the Sydney Opera House was possible, in part, to precast concrete. The distinctive peaked and curved roof is made up of a series of precast concrete panels that are covered in glossy white- and matte-cream tiles, which took Swedish manufacturers a year to complete on their own. Although this structure took 10 years longer than expected to complete, there’s no denying that the 2,194 precast concrete sections didn’t add to the project’s delay. 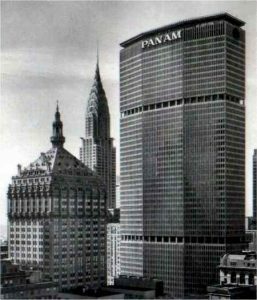 Completed in 1963, the PanAm headquarters served as a symbol of progressive mobility in the U.S. At more than 800-feet tall, the structure was behemoth marker dividing the sightline of Park Avenue. Inspired by Bauhaus design, it was similar to other iconic buildings nearing completion round the globe at the same time. It also sits atop Grand Central Station, making it a convenient building to many New Yorkers. 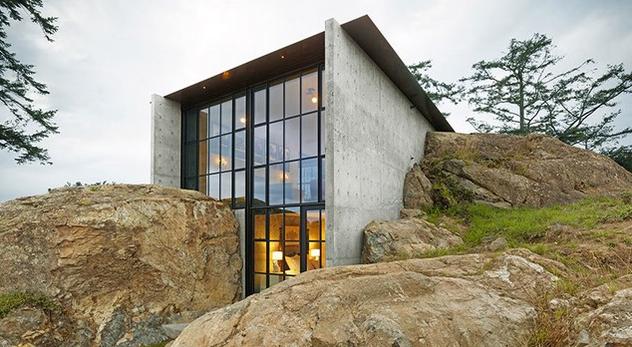 Exposed concrete slab walls add to the natural feel of these hulking structures so to complement its natural surroundings. The seemingly sporadic placement of windows and balconies are actually expertly positioned to work with the view and travel of air for maximum cross-ventilation. 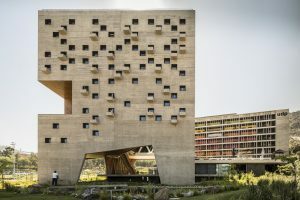 The Diego Portales University is an incredible sight to see that flawlessly incorporates the modern wonders of what concrete can do. 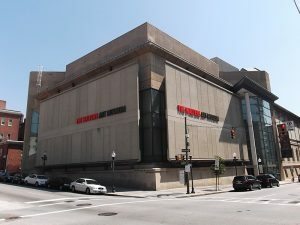 The Walters Art Museum of Baltimore, Maryland opened in 1934 and has been satiating the thirsts of art-lovers everywhere since. Free admission is granted year-round, which means you can come by to see some of the finest curated art collections in the country or the impressive statement made by the architectural precast concrete façade anytime you please. The highlighted slabs, in this instance, mimic large canvasses in a way of their own, giving you a taste of what’s inside. 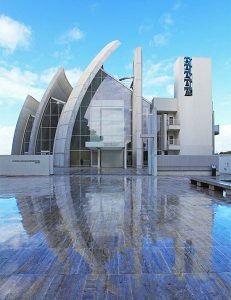 The architectural precast panels used to create this church are doing double duty. Not only are they the cornerstone of this structure’s design, but they also clean the air. These precast concrete fins contain titanium dioxide. Not only does this inclusion keep the church looking pristinely white, it also absorbs ultraviolet light from the sun that breaks down pollutants that come in contact with the church’s surface. The UV light decomposes organic materials naturally. Additionally, large white surfaces help diminish the detrimental effects of urban heat islands by reflecting the sun’s heat. How is that for some seriously hardworking concrete? 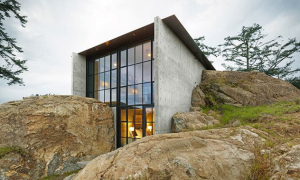 As a stunning example of how precast concrete embraces nature, The Pierre is a private residence that was built atop a natural stone deposit on the owner’s property in Washington State. Parts of the stone were cut away to make way for the home, but nothing went to waste! The cut-away stone was crushed and used in making the cement (talk about incorporation, eh?). While some might see concrete slabs as provoking an industrial feel, this home tucked into the San Juan Islands is here to prove naysayers wrong. From Brutalist to Bauhaus to totally natural, precast concrete can be formed to any aesthetic your construction project needs. If you thought the use of concrete slabs was restricted to prefabricated homes, bland parking ramps or industrial-inspired architecture, think again. The varieties for which you can apply precast concrete are endless, and with an impressive variety of naturally colored stone, it is easier than ever before to truly customize the exposed finish of your precast concrete wall panels. When seeking a construction solution that is completely customizable and will save time and expenses, learn more about precast concrete. To ask questions and discover how to make architectural precast possible for your next project, call or message Kafka Granite. Our experienced experts can help direct you to quality precast concrete manufacturers that can incorporate our aggregates into your design.